A big welcome to Sujatha! Starcom Mediavest Group has appointed Sujatha Maniya as talent management head for Southeast Asia. Maniya replaces Tang Seok Hian, Talent Management Lead for SEA, who left to be a consultant. She reports into Jeffrey Seah, Country Chair VivaKi & CEO Starcom Mediavest Group Southeast Asia. Her responsibilities include the development of strategic HR business plans, talent management and change management. “Human Resource as a business practice is in a powerful position to influence business success in 2016, especially as organisational changes and shifting priorities continue to increase in complexity, frequency and scope,”Maniya (pictured) said. “Culture, employer branding and industry outreach become key priorities for HR as each company competes in the space of talent attraction and acquisition. This means that most HR, if not all, will need to sell better, seal strategic partnerships with key players in the industry, and manage talent communities,” Seah said. We decided to put a spin on press lunches this August. Companies & PR departments always want something from the press. How about putting a different spin on it – that we don’t want anything, just saying thanks the support. 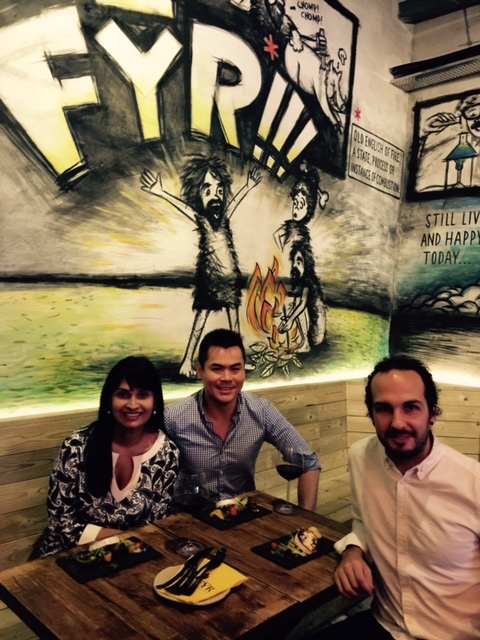 Ian Loon, our digital backbone of SMG SEA led the first ‘Agenda-less Press Lunch’ with Nikki Wicks, Campaign Asia’s SEA Editor. Ian & Nick have met before and this time round, I observed a chemistry that popped and a mutual respect for each other’s professions. 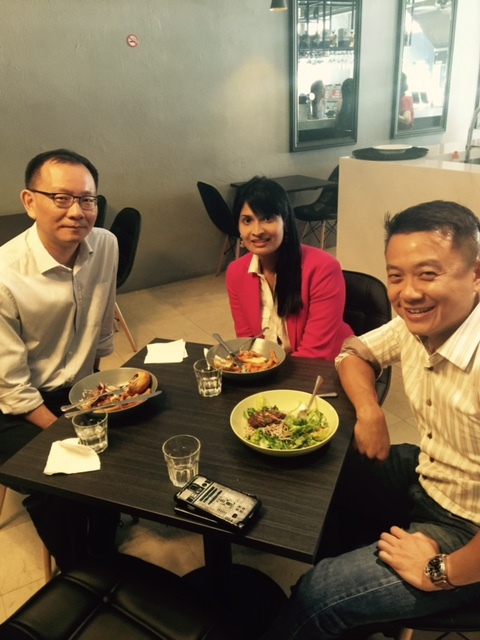 Our second ‘Agenda-less Press Lunch’ was with Chan Chao Peh, Senior Writer at The Edge, financial newspaper. Chao Peh covers equities but his secondary beat is advertising. He has written a profiles on our CEO, Jeffrey Seah and met John Sheehy, President of Global Operations at SMG earlier this year. Jeffrey & Chao Peh know each other but this time the conversation flowed freely and artfully – always a nice change from plugging trends or SMG’s suite of services. What are your thoughts on ‘The Agenda-less Press Lunches’? 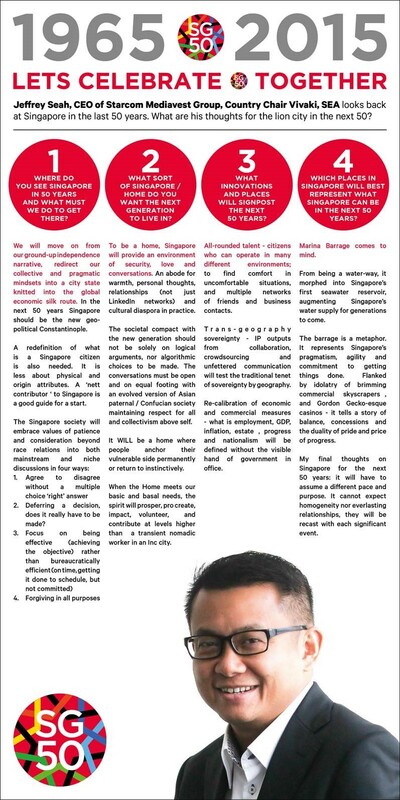 As Singapore celebrates its 50 years as a nation, below is an excerpt written by Jeffrey Seah, CEO for Starcom Mediavest Group SEA. He was invited by The Peak magazine to pen his thoughts for the Lion City – the past and future. Wishing everyone in Singapore, a great celebration for her 50th birthday. Happy birthday, Singapore! Singapore/SEA Headquarters, January 28 2015 – SMG Singapore was delighted to host our global CEO, Laura Desmond, COO John Sheehy and regional & country CEOs in our office. Despite her jam-packed schedule in Singapore meeting clients as the CEOs in Asia, Laura held a town hall in the Singapore office. Laura spoke about the value of the Singapore office, which hosts the Southeast Asia regional headquarters which has high value. The strongest digital talent walks the hallways in Singapore and our global clients have the headquarters here. 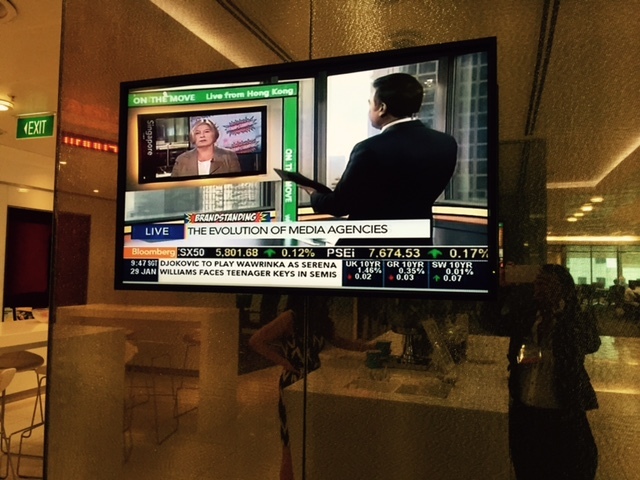 Laura spoke in depth about media being at the centre of the tech revolution, that clients want the complex made simple. She urged all of us to lead them from ahead and to keep pushing clients beyond boundaries. “Fast beats big,” she added. We gathered to take a photo with the Travelling Trophy from Cannes and FOMG. Onward to our GIC goal! 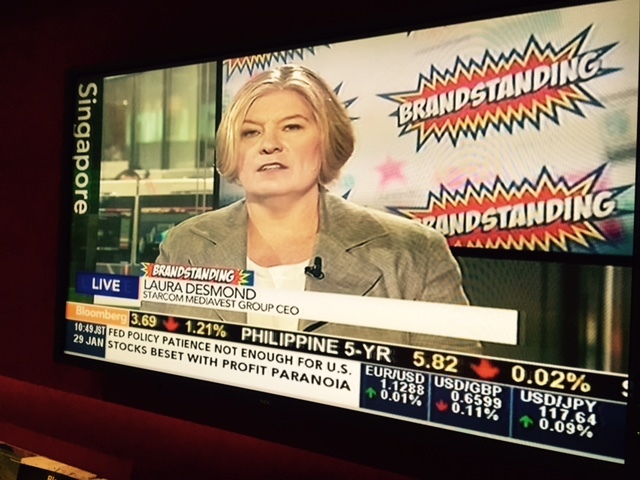 Laura was also interviewed on Bloomberg TV in Singapore. Do check out the interview at the link below.